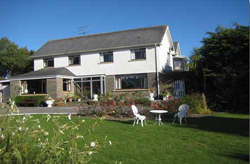 Located in Glenfesk near Killarney, Kennedy's Pet Farm was set up in 1991 by Noreen and Diarmuid Kennedy. Today, its a thriving family business that continues to grow and prosper on an annual basis. The pet farm has proved to be a great attraction for both young and old. A great advantage is the all weather facilities, so come rain or shine the Kennedy family can offer you an exciting day out. New arrivals on the farm is a regular occurrence and there's always a happy mother waiting to show off her new babies! So if you fancy cuddling, feeding or just admiring the large varieties of animals -deer, pigs, piglets, horses, calves, sheep and lambs, goats and kids, donkeys, pot bellied pigs, rabbits, duck and ducklings, geese and goslings and "Prince" the peacock - then Kennedy Pet Farm is a must for any visitor to Kerry.